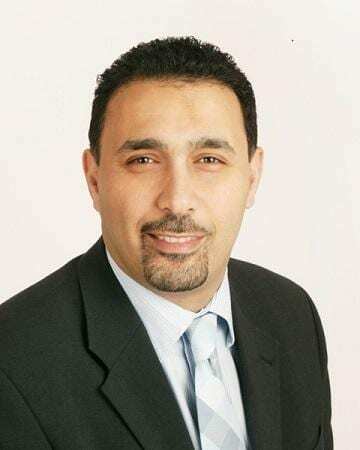 "Many patients have been receiving cetuximab with radiotherapy on the assumption that it was as effective as chemotherapy with radiotherapy and caused less side effects but there has been no head-to-head comparison of the two treatments," said study author Prof Hisham Mehanna, Chair, Head and Neck Surgery, Institute of Cancer and Genomic Sciences, University of Birmingham, UK. Mehanna said: "Cetuximab did not cause less toxicity and resulted in worse overall survival and more cancer recurrence than cisplatin. This was a surprise – we thought it would lead to the same survival rates but better toxicity. Patients with throat cancer who are HPV positive should be given cisplatin, and not cetuximab, where possible." Commenting on the study for ESMO, Dr Branislav Bystricky, Head, Medical and Radiation Oncology Department, University Hospital Trencin, Slovakia, said: "It was believed that cetuximab causes less side effects and was therefore a good option for HPV-positive throat cancer patients who are young and expected to survive for several decades, as well as those less able to tolerate chemotherapy. This study shows that the best treatment choice for patients with HPV-positive throat cancer is cisplatin and radiotherapy. This combination gives 'double' the benefit since it is more effective in terms of survival and does not worsen all grade toxicity compared to cetuximab with radiotherapy." Bystricky noted that the results were in agreement with interim findings of the US National Cancer Institute's RTOG 1016 trial, which is scheduled to report this month. (2) He said: "We now have two studies showing that these patients should not be given cetuximab. Future research should examine whether genotyping for the KRAS-variant can select a group of patients that will benefit from cetuximab treatment with radiotherapy." Background: The incidence of Human papillomavirus-positive oropharyngeal cancer (HPV+OPSCC) is rapidly rising. It is a distinct disease entity, affecting younger patients, with much better outcomes. However, standard treatment (cisplatin+radiotherapy) causes significant toxicity, which these young patients have to endure for decades. Cetuximab, an epidermal growth factor receptor inhibitor, has been proposed for treatment de-escalation to reduce toxicity of standard (cisplatin) treatment, but no randomised trials exist. Methods: In this international, multi-centre, randomised, controlled trial, patients with low-risk HPV+OPSCC were randomised to receive radiotherapy (70G in 35F) and either cisplatin (3 doses of 100 mg/m2) or cetuximab (400 mg/m2 loading dose followed by weekly 250 mg/m2). Outcomes were total number of severe (Grades 3-5) toxicity events, overall survival, and quality of life. Results: We recruited 334 patients (166 in cisplatin arm and 168 in cetuximab arm) between November 2012 through October 2016 at 32 head and neck treatment centres in 3 countries: UK, Ireland and the Netherlands. Of patients randomised, 80% are male, mean age 57 years. The arms were well balanced. There were 10 recurrences and 6 deaths in cisplatin arm, compared to 29 recurrences and 20 deaths in cetuximab arm. There was a significant difference in the 2-year overall survival between cisplatin and cetuximab (97.5% vs 89.4% respectively, p=0.001, HR=4.99, 95% CI 1.70-14.67) and in 2-year recurrence rate (6.0% vs 16.1% respectively, p=0.0007, HR=3.39, 95% CI 1.61-7.19). There were no differences between the cisplatin and cetuximab arms in the reported mean number of overall (5.37 vs 5.45 events per patient respectively), acute or late severe (grade 3-5) toxicity events per patient or all grade toxicity (overall 29.15 vs 30.05 event per patients respectively). There were significantly more serious adverse events (162 vs 95) in the cisplatin arm compared to the cetuximab arm. Conclusions: There was significant detriment from the use of cetuximab instead of cisplatin in terms of tumour control, and no benefit in terms of reduced toxicity. Cisplatin and radiotherapy remains the standard of care in this setting. Disclosure:	H. Mehanna: Honoraria: AstraZeneca. Speakers' Bureau: MSD, Sanofi Pasteur, Merck. Research Funding: GSK Biologicals, MSD, Sanofi Pasteur, Silence Therapeutics, GSK Plc, AZ. Travel Accommodation Expenses: Sanofi Pasteur, MSD, Merck. A. Kong: I have received research grants from PUMA and AstraZeneca. I have received payments as a speaker, consultant or in an advisory role for the following companies: PUMA, Merck, BMS, MSD and Avvinity Therapeutics Limited. M. Robinson: Consultancy for Leica Biosystems. B. Foran: I have received payments from MSD and Merck for speaker engagements. L. O'Toole: Merck sponsored my trip to ICHNO 2015. R. Moleron: I hereby declare the receipt of consultation fees from Bristol-Myers-Squibb and MSD.